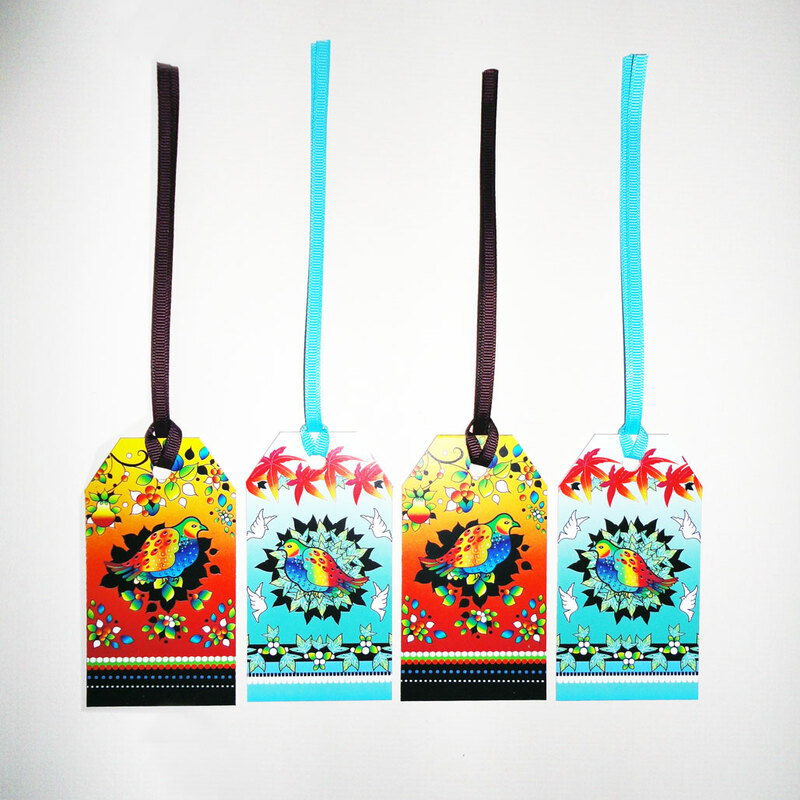 Bright festive tags are a must to attach to any Christmas present. 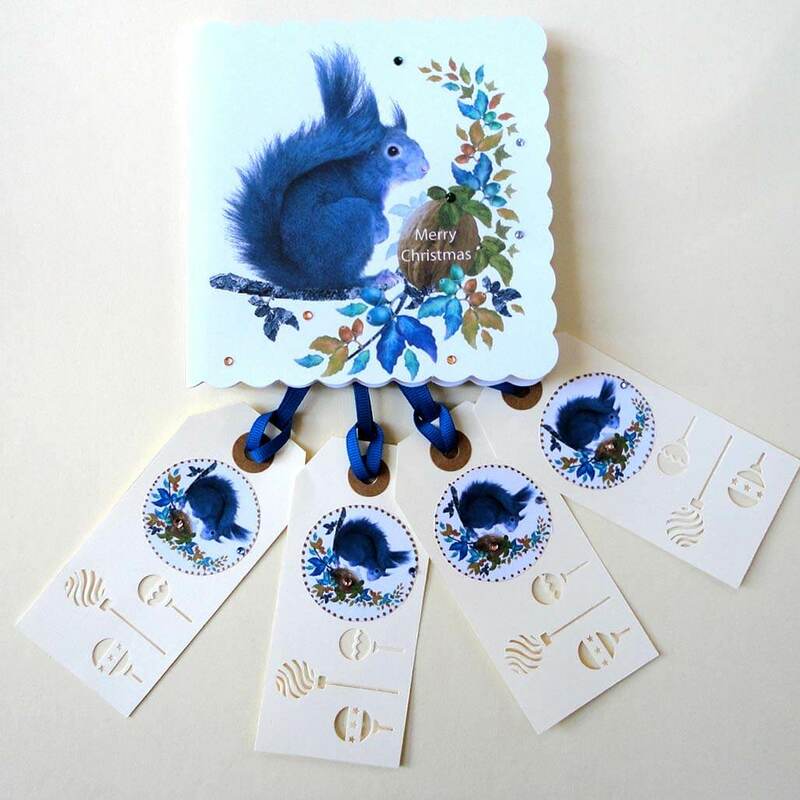 This set of four gift tags have one design featuring the very clever grey squirrel perched on a branch surrounded by acorns. 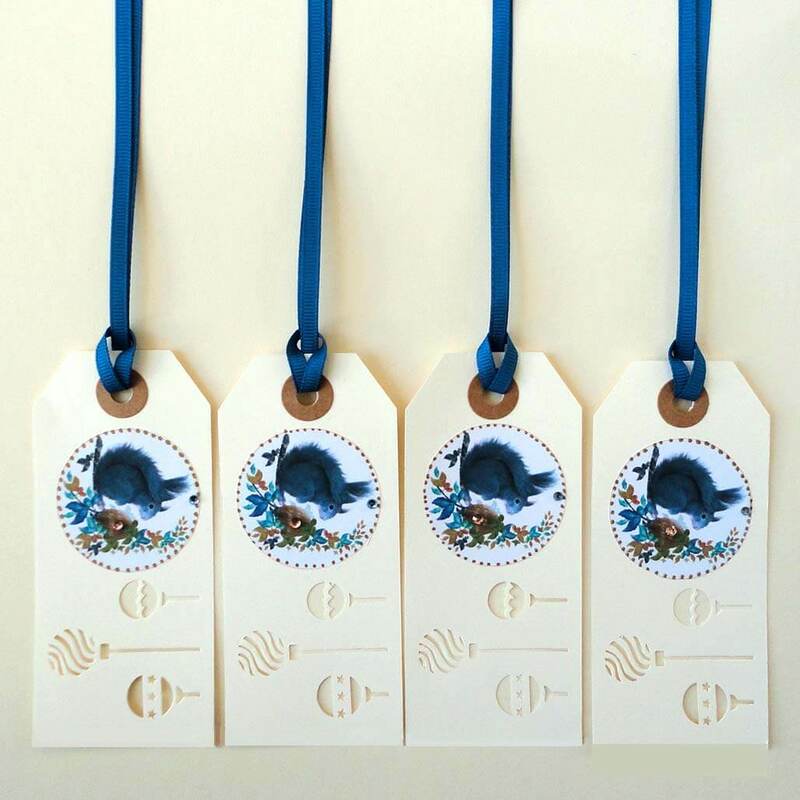 This tiny scene is set in a white circle on a cream tag with die-cut Christmas baubles.The blue grosgrain ribbon coordinates well with the inspiring blue grey tones of the squirrel and foliage. 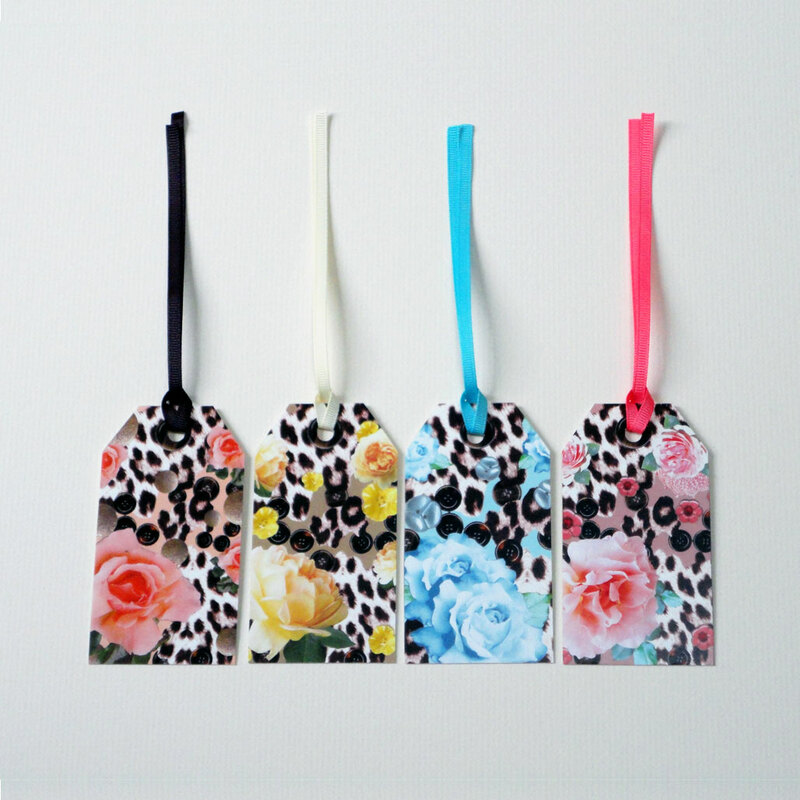 Tiny blue and gold glass gems add decoration. 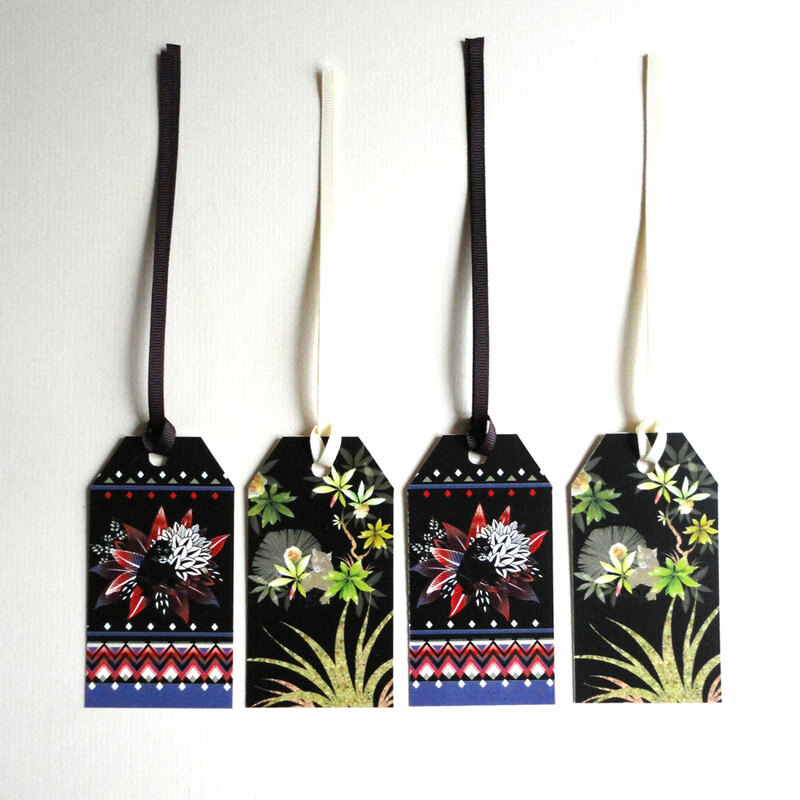 Perfect gift tag to accompany plain or simple patterned Christmas paper. 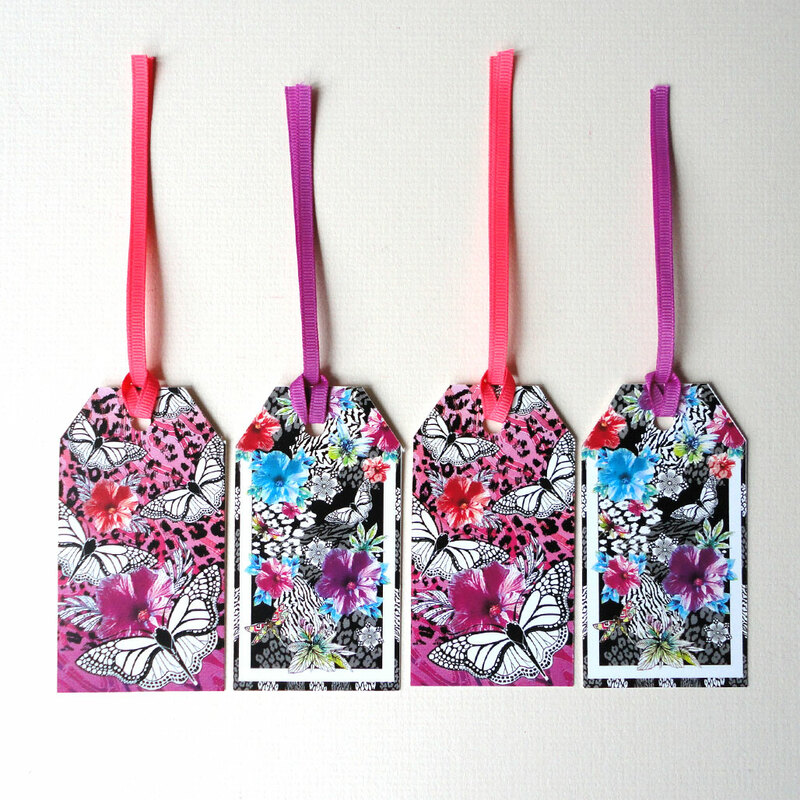 You can also sent Christmas wishes with a matching squirrel card.